The soul’s reaction to the states it passes through is reflected in the words written by Kabbalists. That reaction is collected in the prayer book entitled Siddur (the “order” of undergone states). We don’t understand what the prayers describe, nor the soul’s impressions that are recorded in the appellations, letters, their combinations, or the arrangement of the words in the sentences. The entire prayer book is organized so that for any soul that experiences transformations in a specific state this process is expressed in the same words of the prayer. It is not necessary to articulate the words out loud. The soul will feel them within; the prayer will become its internal construction. Every letter is a certain order, a sequence of the forces that receive and bestow. Additionally, within the letters, there are “vowel marks,” the fillings, a complete TANTA (Ta’amim, Nekudot, Tagin, Otiot or lights, points, crowns above letters, and letters), the states we are going through. Our internal desires alter and assume all kinds of forms that instill various feelings in us. In turn, when transferred to paper these sensations receive a specific form of spiritual elements in letters, words, and sentences. In other words, a prayer is an external expression of internal spiritual sensations. A person doesn’t really need a prayer book. If he is experiencing such internal states, they will become his prayer. A prayer book is needed in order to look at the shape of the letters and visualize (if we are already able to do so) what states we need to undergo, to imagine what awaits us ahead. If I am already in the spiritual world, then based on what I am reading in the prayer book, I can somewhat perceive what is going to happen to me, what states I am going to enter. In this world, I am familiar with various human emotions. Hence, while reading a novel for example, I can feel and experience the events being described internally. The same goes for the spiritual world. Baal HaSulam, Beit Shaar HaKavanot (The Gate of Intentions), Chapter “Concerning Passover Exodus”: On the Passover night, Zeir Anpin grows to the greatest state, and hence, on this night, such enormous Light is revealed that it is greater than the Light of Sabbath. All that there is in Zeir Anpin of the world of Atzilut is passed down to the souls. If we here, below, don’t ask and don’t evoke ZA, it remains in its constant small state, VAK, whereas Malchut is just a point. When there is only the Light of VAK in ZA, Hassadim (Mercy), Malchut has nothing since she has receiving desires and cannot be filled with only the Light of Hassadim. Therefore, this is a preparatory state that has nothing to do with any spiritual action yet. All the other states are defined by how high ZA can rise (upon our request) over the small state. The process we undergo during the exodus from Egypt, from being enslaved by the desires located below the Parsa, is not simple and doesn’t correspond to the usual work order: six “weekdays” followed by the seventh “day,” Saturday. Saturday is arranged “in likeness to the future world,” and, according to the spiritual work performed during the six “business days,” brings us the “awakening from Above” and its result: corrected desires. However, the exodus from Egypt is a “night,” not a day as Saturday is. It’s a sign that a very big Light of Hochma (Wisdom) is revealed that is not covered by the Light of Hassadim. Hence, it feels not as Light, but as “Egyptian night,” the enormous Light of Hochma that cannot emanate to us. We are constantly present within an ocean of Light, and we are either unable to establish any relationship with it (and then we simply don’t feel it, as right now), or we can approach the Light and obtain exactly the same property as it has. Then, according to the law of equivalence of form, we will be able to feel it. If I am in the same bestowal as the Light, then between us, a common sensation appears that is regarded as the revelation of the Light, the Creator, to the created beings. Alternatively, there can be an opposite state where I don’t feel that I am approaching the Light, bestowal, but on the contrary, I feel coming closer to reception, my opposition to unification. This doesn’t pertain to mere material gain, but specifically to the lack of unity of the souls that makes me feel darkness. This has a spiritual meaning. We always deal with what lies above the animate level, meaning with the internal work that bears a “positive” or “negative” fruit, and a person senses transformations as either an unfolding Light or darkness. However, in the worst case, a person feels nothing whatsoever, which means he is not working at all. The essence of the Passover story is an unusual order (Seder) of receiving the Lights that wake us up and lead out of Egypt. We are developing the method of correction during our daily lessons. We build it from the primary sources and their explanations, from questions and answers. We are creating an educational system within the same framework. 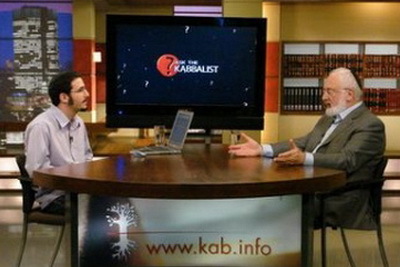 A special channel of dissemination of Kabbalah for the entire world opens here. After all, education is every parent’s headache or, actually, a heartache. Everyone is concerned about their children in every part of the world, North and South America, Asia, Africa, Russia and Europe, China and Japan. The problem of education is awakening everywhere to various extents. This is why the world is ready to listen to our developments in this area. We are communicating with UNESCO, the top organization responsible for education around the world. We were very well received, and our representatives have already participated in two events in New York and Moscow. We have discovered that the world is aching to solve this problem, but no one has the solution. UNESCO has high expectations for us, and they are inspired with the quantity of our materials regarding this topic. It is true that today, our materials are breaking all boundaries. Every week we produce 50-100 pages of new text. At the same time, we are working on a new book which will be published under the aegis of UNESCO. Several more large projects are waiting in line. There is no doubt that if we manage to create one “good” generation, in their turn, they will know how to raise their children. For this reason, the entire problem is in figuring out a way to form one generation that will receive an education instead of plain knowledge, which will give us the ability to turn the children into human beings in the full sense of this word. They will know the reason and purpose of their existence, how they can connect with one another, why they begin with the breaking, and why they need to correct themselves. Briefly speaking, they will know how to have a proper attitude toward the world. Next, we are realizing educational programs with the group of our children. We correct it and find many new approaches along the way. For example, we have discovered that children teach one another very well. For instance, the fourteen-year-old teaches the ten-year-old. This is because the younger ones see the older ones as role models, and they want to be like them, while the older ones are proud of their role. In the end, the age difference creates a great bond. Overall, children growing up according to the new method become completely different. Essentially, the entirety of Kabbalah is a science of education; we use it to educate ourselves. However, this becomes very evident among children. It is no mistake that they happen to be growing up in our arms from their infancy. The matter depends on us because they are already prepared to receive the spiritual method of education from us. The Study of the Ten Sefirot explains the growth of the spiritual person within us. We can raise a child according to the same principles as we take him through the years (degrees) toward maturity, not just the physical one, but the spiritual one. This is the method we are trying to develop, build, and realize. This summer, we are planning to open a two-week summer camp for children around the world. The program will be broadcast over the Internet so that every child can connect to the common activities since this will be happening over the summer vacation. We will try to support the children’s unity in the future as well so that they will eventually grow into the new, international, virtual as well as physical group.